Spring into Safety with local first responders this Saturday, March 30th from 10:00 AM- 2:00 PM for in Old Town Spring. Come meet your first responders, tour their equipment and gain insight on how they keep our community safe. 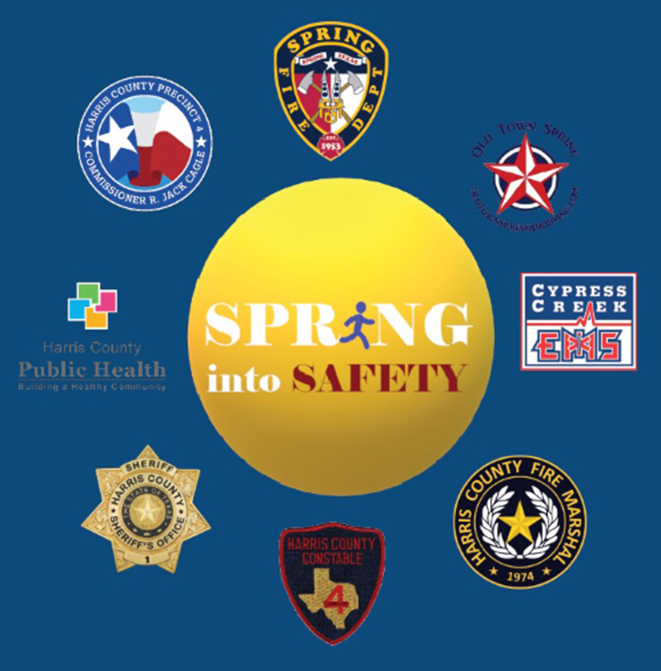 The first 500 kids can earn a safety prize bag with items from the participating agencies: including the Spring Fire Department, Harris County Precinct #4, Harris County Fire Marshals Office, Harris County Sheriff's Office, Cypress Creek EMS and more.